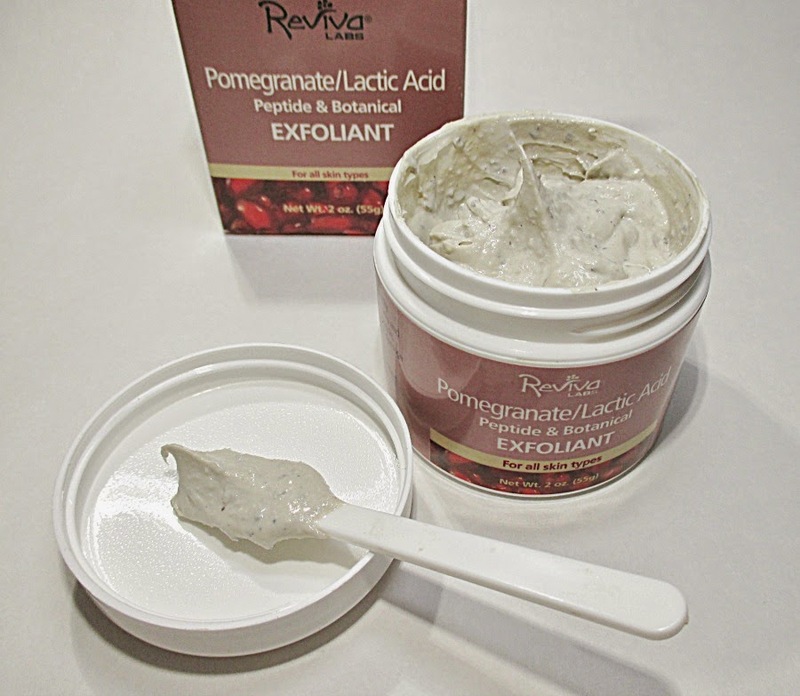 Reviva Labs Pomegranate/Lactic Acid Exfoliant $19.00, is no joke, gentle reader. If you want serious sloughing of dead. dry Winter skin, this product will deliver. Composed of a mix of natural clay, allantoin, lactic acid, natural plant extracts, soy, peptides and pomegranate this treatment clears away dead skin cells and leaves the skin brighter, softer and smoother. The texture is creamy/grainy with bits of plant and flowers. The scent is, to be best described... Clean, fresh sand. It isn't an unpleasant scent but unexpected in a skin care treatment! It is very natural and earthy. I don't mind it, at all. It's not "dirty" it's just... Very natural. I use this after cleansing. I pick up a generous finger full, apply to my face and spread it evenly all over, avoiding my eyes, of course. I scrub, in a firm circular motion as I apply. If you are sensitive, you can skip that step. My skin likes a good hammering, so I give it what it wants. 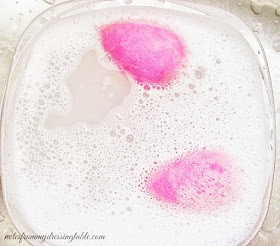 After a nice scrub, I make sure that the exfoliant is spread evenly in a thin layer and let it dry. Then, I grab a dry, clean face cloth and rub it off my face. The result is velvety soft, brighter skin that readily drinks in serums and moisturizers, looks better alone and under my makeup. Do I look younger? Uh... Nope. Darling, I'm fifty. That ship has sailed. I'm okay with it. I'm happy to look good for my age. I think that this little jar of natural, earthy delight helps me to achieve that. 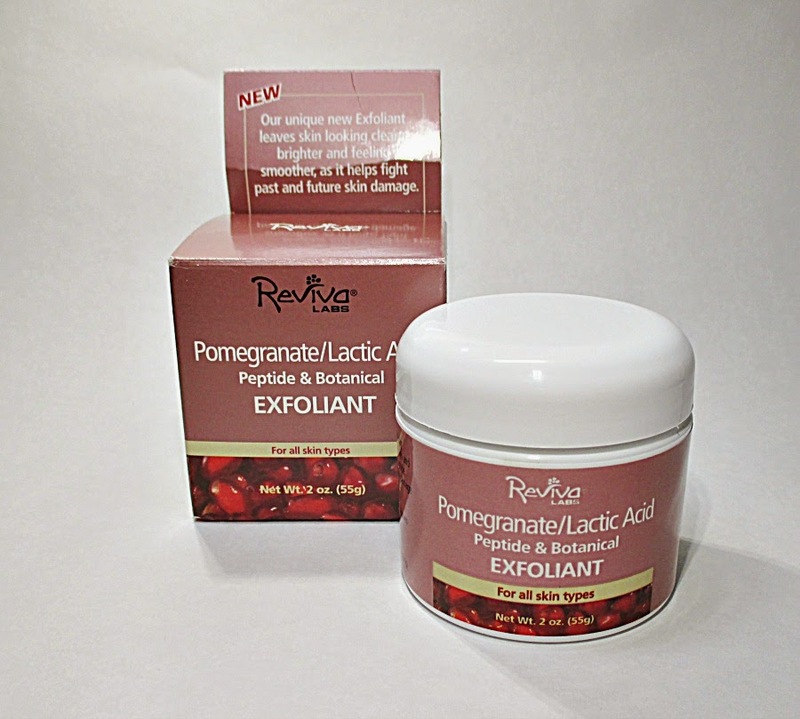 Have you tried Reviva Labs Pomegranate/Lactic Acid Exfoliant? What do you think of it? If you would like to give it a whirl, you can find it at Reviva's website and at natural foods and beauty stores and spas and salons that carry Reviva products. Reviva Labs uses natural and many organic and vegan ingredients and they do absolutely no animal testing. I love this skin care line. I do receive an item or two from them from time to time for review but the majority of the products I use, I buy because I honestly like and trust this line. 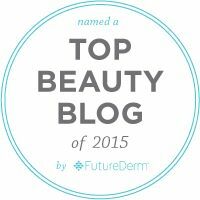 Their products are beautiful, affordable, they work and I heartily recommend them. I like everything I've tried from Reviva Labs: great, no nonsense skincare at affordable prices. I loved your description of the scent ;) But I agree, natural scents are fine! I like Reviva but haven't tried this yet. I love a good exfoliant! This sounds like a great product. I want to give it a try now. This sound like a great scrub. I encourage you to give it a whirl. It's effective and affordable. This one is really nice. I love how it exfoliates and brightens, at the same time. I couldn't think of any other description that was true to the product. Hee! Hee! It smells like clean sand/earth. It's not a bad scent, it's just very natural. :D I like the scents of Reviva products, their Light Skin Peel is lavender and rosemary and I adore that one. I love everything by Reviva labs! Love this stuff for smooth, soft skin! That is what I like about this. It is quick. Five minutes. Done. Pomegranate and lactic acid sound like a great combination! As for younger skin, believe me, you don't look 50. This is seriously one of my favorites! Which reminds me, I need to restock. I NEEEEEED to try this!! First of all, love the header! Second I LOVE Reviva Labs anything! LOL You crack me up... that ship has sailed bahaha I'm starting to think that now at 34 as I'm frantically slathering my face with ALL the skincare. I love Reviva, tho. They make evvvverything awesome. 34. A mere babe in the woods. But good skincare is crucial, at every age! I adore Reviva. Thanks... It's a placeholder, prototype, I'm working on a refined version. ;) Reviva everything is fine by me. I love this line!